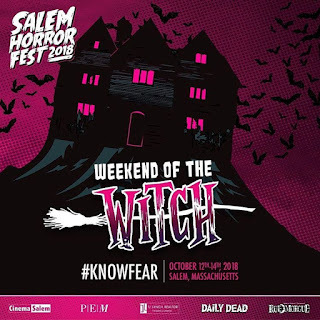 The Salem Horror Fest ran from October 4 - October 14, 2018 and had two major programs: Earthdoom and Weekend of the Witch. We chose the second weekend because our favorite horror movie podcast, Faculty of Horror, was appearing that weekend. We flew into Boston (on JetBlue--highly recommend) and rented a car to drive to Salem. Fortunately, this route did not take us anywhere near the crazy driving of Boston, but it did take us through very unpicturesque, industrial neighborhoods. We made it to Salem and immediately got trapped in traffic. So many narrow streets, so few options. We ditched the car, stopped at Beerworks for a bite and had the best pumpkin beer EVER. It had cinnamon sugar on the rim. YUM! We wandered around town for a bit before heading to the hotel (in Danvers). Our GPS felt like it sent us in circles, but we eventually got there. 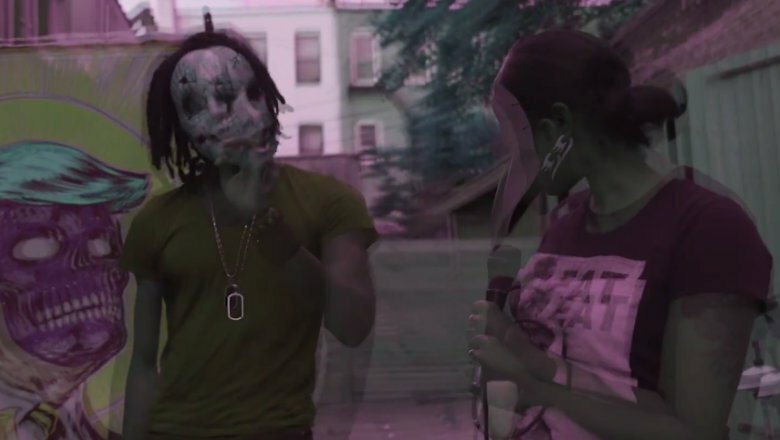 We checked in and headed back to Salem for Wicked Shorts 2018 at CinemaSalem, a showcase of short horror hosted by Brooklyn hip hop goth collective Monsters on the Horizon, who were DOPE. SO many good short horror films from across the world, but our favorite was What Metal Girls Are Into by Laurel Vail. 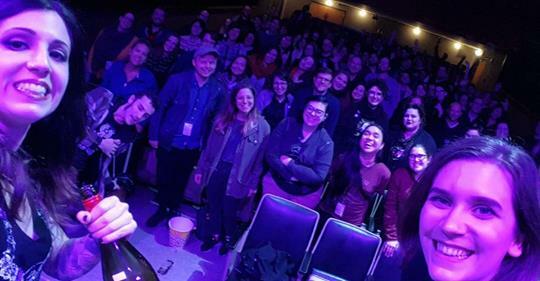 Day two of the festival started with showings of Suspiria (1977) and The House of the Devil (2009), followed by a live podcast taping of Faculty of Horror called Personal Hell: The House of the Devil. So fun to see a favorite podcast in person. The next day, we headed over to the Peabody Essex Museum for a talk by author J.W. Ocker about his book A Season with the Witch: The Magic and Mayhem of Salem, Massachusetts. This book explores how Salem utilized its witch trial history to create a tourist mecca out of a fading port city. We skipped a panel discussion on the making of a movie we never heard of (Mass Hysteria), but headed back to the Peabody for the premiere of Scary Stories Documentary. 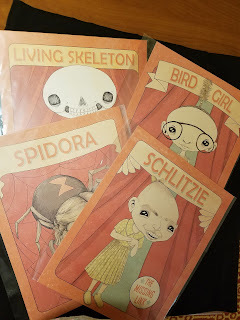 OMG, go see this, especially if you're a fan of the Scary Stories books by Alvin Schwartz, with illustrations by Stephen Gammell that are so haunting even Guillermo del Toro collects them. Scary Stories (Official Trailer #2) from Cody Meirick on Vimeo. Next up was a fun lecture at the Peabody Essex Museum by writer Alex West of the Faculty of Horror. Lady Killers: Women Who Killed in Film in the 1990s explored the world of female killers from Fatal Attraction and Basic Instinct to Serial Mom and Carrie 2: The Rage. There were a few more horror films lined up that evening (Death Becomes Her and The Witches of Eastwick), but we ditched the festival and headed out to nearby Saugus for a show. 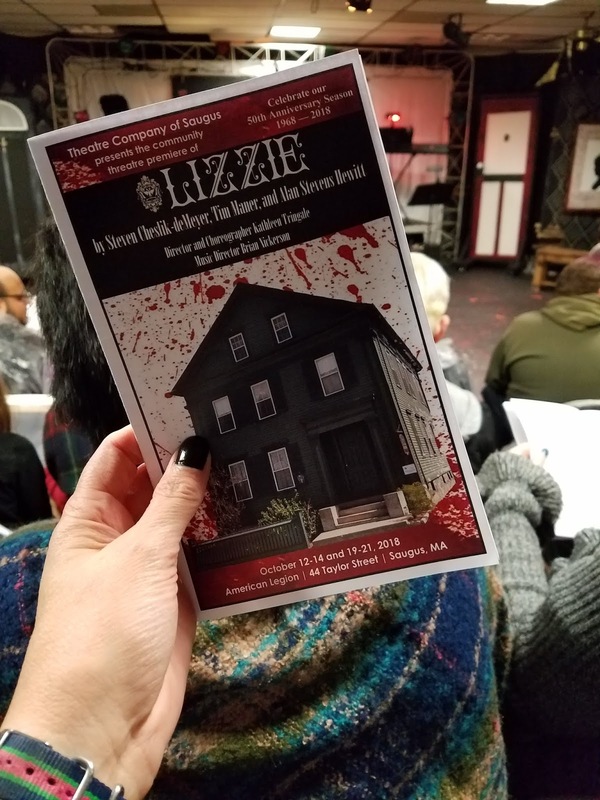 Lizzie: The Musical, presented by the Theatre Company of Saugus, is a four-person rock musical about Lizzie Borden. How could we resist? Performed at the intimate Saugus American Legion, we walked in to see the first two rows of theatergoers wearing plastic rain ponchos. Apparently, there would be BLOOD. And there was. Lizzie is SUCH a fun show and the cast gave it everything they had, with some really great performances. After days and days of rain, Sunday dawned bright and sunny and there was no way that we were sitting in a theater or lecture hall. Instead of attending a lecture called It Takes Many Forms: Horror as Resistance and a showing of Haxan: Witchcraft Through the Ages (not to mention Hocus Pocus Aerobics), we walked to the wharf and SHOPPED. So much shopping. Also, we saw The Custom House, which is apparently in Hocus Pocus and the House of Seven Gables. But mostly shopping and absorbing sweet, sweet sunshine. We reluctantly headed back to the Peabody Essex Museum for Andrea Subisatti's lecture called Abandon All Hope: Depictions of Hell in Horror. Andrea Subisatti is the Executive Editor of Rue Morgue magazine and co-host of Faculty of Horror. Of course, the lecture was delightful as Andrea is dry and funny as well as knowledgeable. We raced over to CinemaSalem for our last two films of the festival. Rosemary's Baby, the incredible Roman Polanski classic, was fabulous to see (and hear) on the big screen. The last movie was the premiere of St. Agatha, a horror film about a home for pregnant girls, and was to feature a Q & A with some of the cast and creative. However, people slipped out pretty quickly after the film ended as it was a pretty bad film. 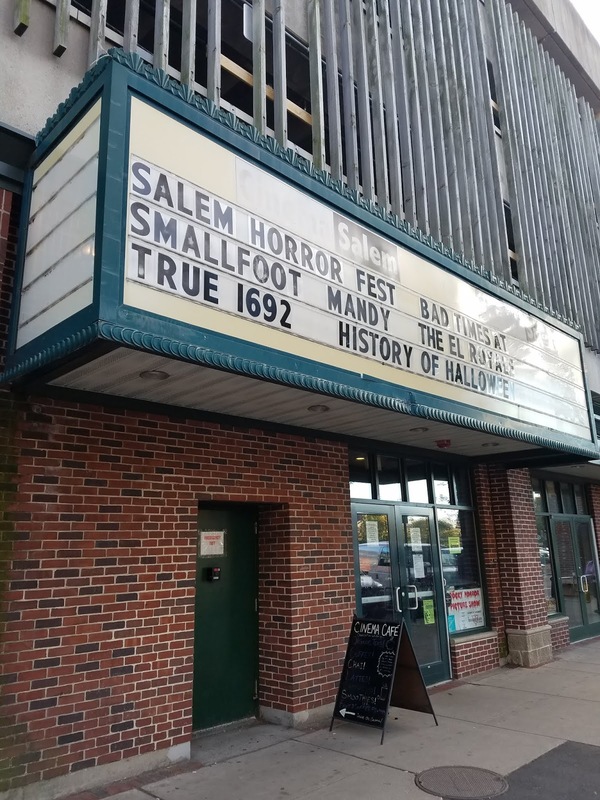 Salem in October is an amazing place for any horror lover to be. There are witch museums everywhere you turn and SO many witch-themed tee shirts and hats. It's genuinely weird and fun to be walking down Essex and pass Jason, Nosferatu, and witches galore having their pictures taken with random tourists (also wearing witch hats--apparently non-ironically.) 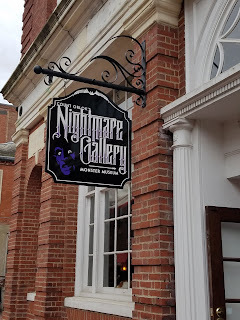 If there's one tourist attraction you cannot miss, it's Count Orlok's Nightmare Gallery, which houses gorgeous wax figures of horror icons from Frankenstein to Sam from Trick'r'Treat. These figures are so beautifully created and lit that I genuinely thought they moved when I wasn't looking. 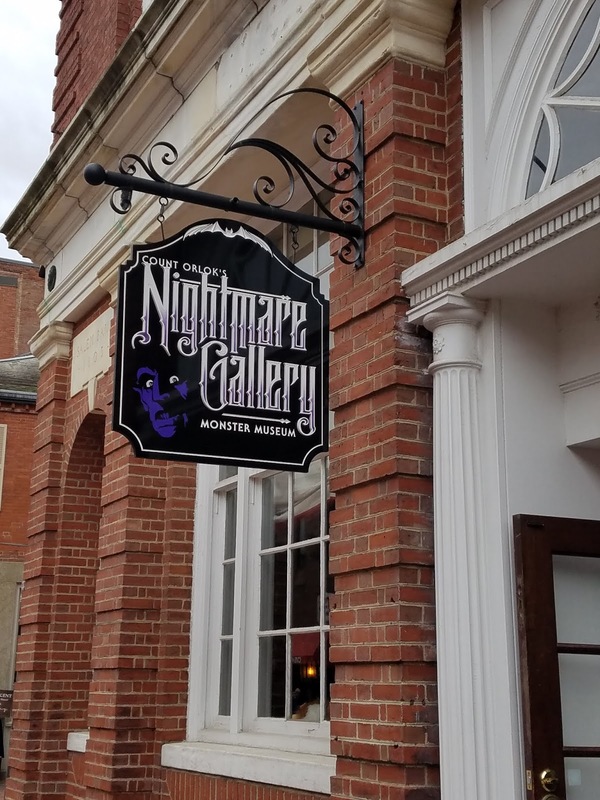 In addition to all the tourists mentioned above, Salem also is a genuine home for witches and spiritualism with plenty of shops and vendors catering to spell-casting and psychic readings. But also? It's goth heaven. SO many cute, cute stores filled with black clothes, cute horror tees and dresses with caskets and skulls on them! Modern Millie - Vintage clothing and consignments with super-inclusive sizing and adorable accessories. 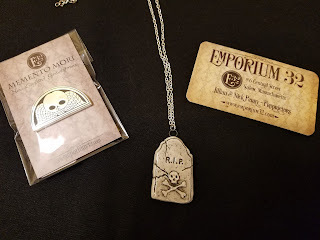 Emporium 32 - An old-world boutique for men and women specializing in American-made products, a goth's dream. Jewelry, prints, hats and oh so much more. 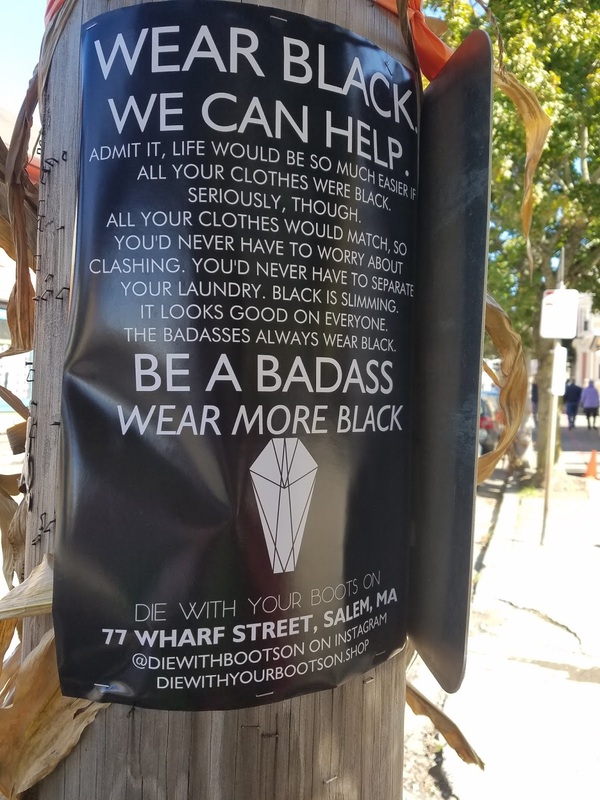 Die With Your Boots On - Salem's Own Dark Fashion Boutique. Fabulous dresses, shirts, leggings, prints AND they have a publishing house called FunDead Publications. LOVE. The Marble Faun Books and Gifts - Victoriana, Austen, Brontes, Sherlock - so many adorable literary gifts. Refind - new - resale - reclaimed - CUTE stuff, great prices. Clever Diva - Boutique and consignment - See above. Pickled Punks - Oddities, Abominations, Monstrosities - Prints, tees, plushes. Marc Roulstone - Art, Illustration, Design - Monsters, dinosaurs, dogs and cats prints. Forest Haunt - CUTE tee shirts - SUPER cute. Bats in the Belfry - Crafts and fine arts, cute stickers. Kat's Creepy Creations - Creepy repurposed dolls. Cryptid Plushies - Adorbs monster plushes. 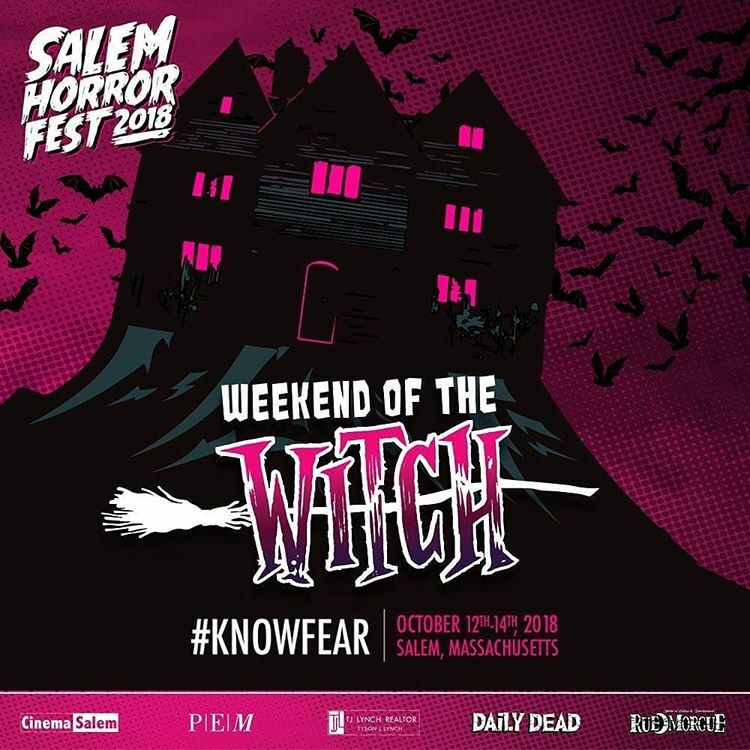 In short, Salem is super fun, Salem Horror Fest is WAY fun, and you should go.